May 25, 2017 - For Beatroute BC. Review by Zoei Nijjar. VANCOUVER – Simon Green, a.k.a Bonobo, was greeted with joyous cheers as he hit the Commodore stage, with live band support from Machinedrum. The show had sold out several weeks in advance and was the second of two (sold out!) Vancouver shows on Bonobo’s tour. Bonono’s newest album, Migration, was released January of this year. With already five albums under his belt, and numerous other musical projects, Bonobo has mastered the lush, atmospheric tunes that piece together this album. Up on stage, his electronic sounds echoed with emotion and captured his listeners into a trance. The crowd swayed as Bonobo perfectly layered his samples, synths, and the rhythmic beats of Machinedrum’s percussion. The live band also featured a clarinet player, saxophonist, trumpet player, and backup production and synths. Each musical element dovetailed perfectly, creating raw and fresh music down to the bone. The British musician, DJ, and producer treated his audience with a mix of his old and new music. His 2013 album The North Borders, features some of Bonobo’s most popular releases, such as First Fires, and Cirrus. The crowed roared with excitement as Bonobo brought out these oldies but goodies, especially during the flavorful flute solo featured in We Could Forever from his 2010 Black Sands album. 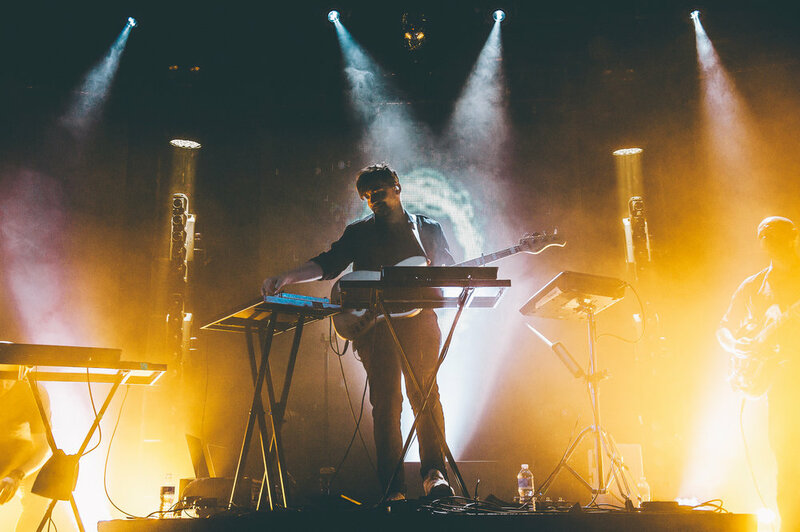 That night, Green’s music paired with euphoric visuals of icy mountain tops and lush forests transported his listeners out of this world, and into Bonobo’s.